Peter Griffin wrote the Theory of Blackjack, 6th edition for those who want to know card counting techniques. Without a doubt, it is one of the most comprehensive books that address the topic. The book manages to explain the advanced techniques of card counting with ease and simplicity. Richard Epstein explains the statistical aspect of gambling, proving both informative and enticing reading. He covers a wide range of casino games, including Blackjack and Bridge. If you want to understand this book to the fullest, it is crucial that you have a very good grasp of mathematics and calculations. The book covers a wide range of topics, from stocks and horse racing to military strategy and card games. If you have any interest in how gambling works, it will be a very informative read. Stanford Wong wrote the book Professional Blackjack. While the writing is very dry, it offers a simple and easy to master perspective for card counting. This book takes a complex concept and simplifies it so that almost anyone who reads it will be able to master the strategy. On the other hand, it goes into great detail for every strategy, which can be much for some. Blackjack for Blood: the Card Counter's Bible, and Complete Winner's Guide, was written by Bryce Larson. The book tries not to glorify card counting, explaining that it is a skill that must be worked on for some time before it can be mastered. It teaches the reader how to manage money as well as show you the darker side of being a Blackjack player. Larson's book tells reader both the positives and negative of learning Blackjack. Olaf Vancura and Ken Fuchs worked together to craft this book. In essence, it teaches readers one of the simplest card counting strategies. 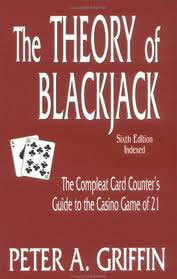 It covers a wide range of topics, such as the rules of Blackjack, card counting, and the history of Blackjack. The knockout strategy of card counting is unique and can be enjoyable for anyone who is interested. The Big Player: How a team of Blackjack players made a million dollars, was written by Ken Uston. Ken Uston was actually a very powerful player in the 70's and 80's. His book explains how he became involved in a team of players that went out and won millions from casinos. However, the book does not explain strategy. Instead, it focuses on the story of Uston and reads more like a fiction novel. This book has been out of print for quite some time, making it a rare read for anyone who is looking for it.